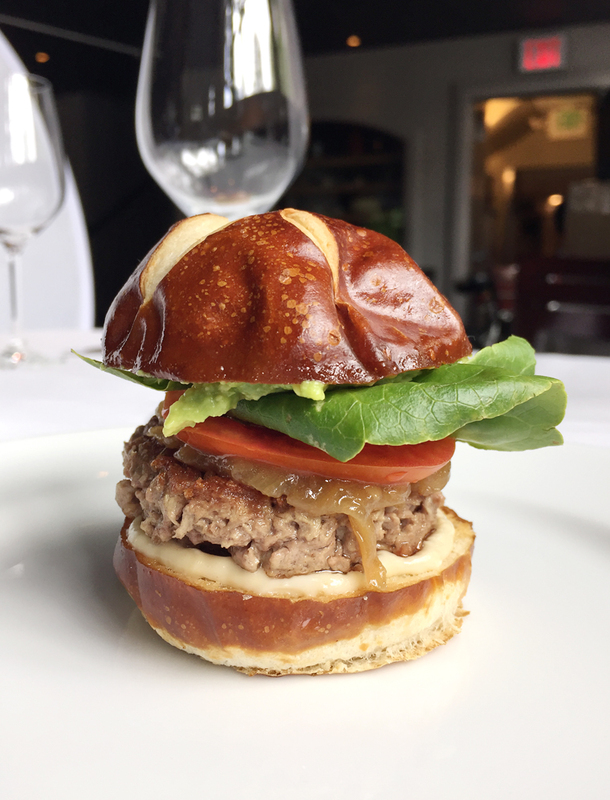 Sampling a slider-size of the Impossible Burger at Jardiniere before its public launch. What is a burger without meat? But even they might change their minds after a bite of the Impossible Burger and the Beyond Meat Burger. 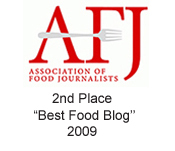 Both are entirely plant-based patties that closely mimic beef burgers. And both are now available in the Bay Area for vegetarians and the curious to enjoy. Impossible Burger is the creation of Redwood City’s Impossible Foods. It is fashioned from wheat, coconut oil, potatoes, and heme, a compound in plants and meat, which gives meat its characteristic aroma and taste. Compared to raising cows for burgers, the Impossible Burger uses 95 percent less land, 74 percent less water, and creates 87 percent less greenhouse gas emissions. 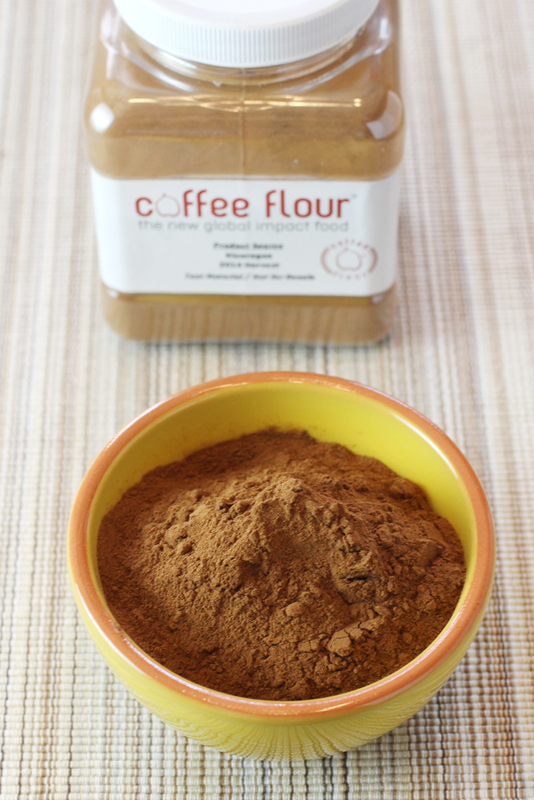 It’s also free of hormones, antibiotics and artificial ingredients. And you don’t have to worry about slaughterhouse cross-contamination. El Segundo’s Beyond Meat Burger is similarly environmentally-friendly, and is fashioned from pea protein, yeast extract, coconut oil, beet extract and annatto extract. 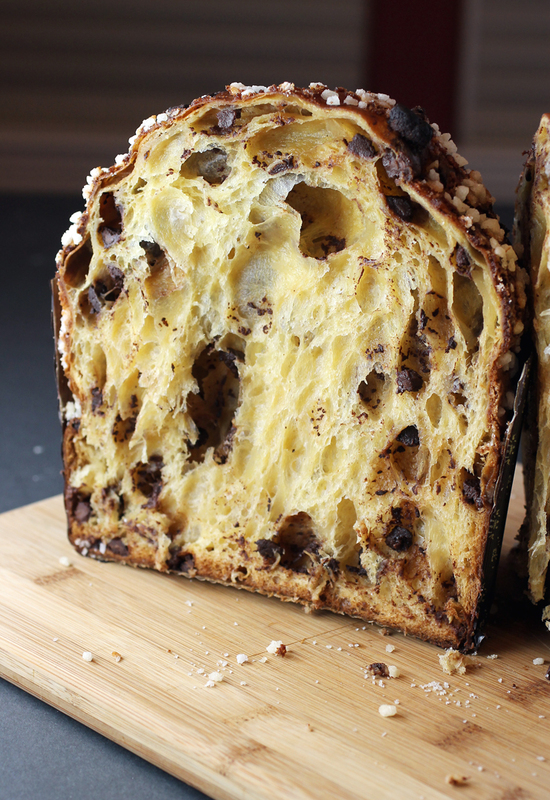 When I told my husband, who is notoriously frugal (he’d call himself, “cheap”), that I was writing a story about a pastry chef who makes a $50 panettone, he was beside himself. He rolled his eyes, completely flabbergasted. Who in their right minds, he thought, would pay that much for an Italian Christmas bread that you can get for a song on the shelves at Cost Plus? 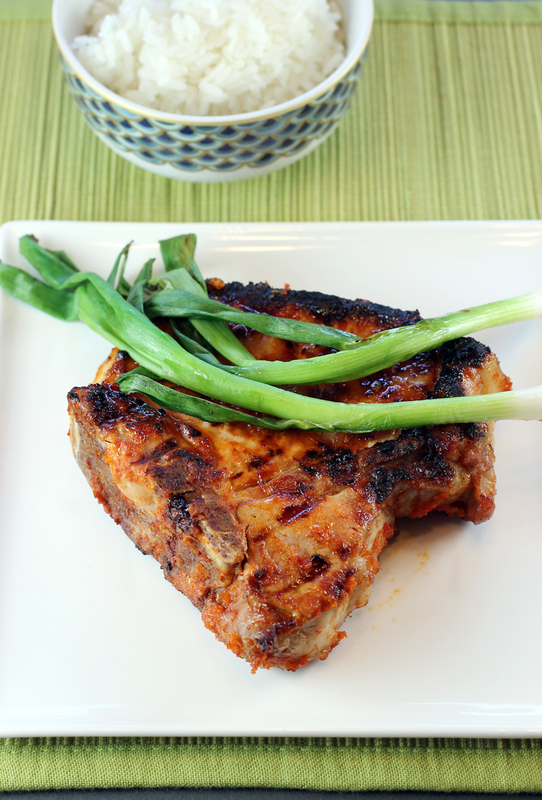 Juicy, big pork chops get a dash of Korean flair. Firing up the grill this Memorial Day weekend? This straight-forward recipe is from “Cooking Light Mad Delicious” (Oxmoor) by Keith Schroeder, culinary educator, founder of High Road Craft Ice Cream, and columnist for Cooking Light magazine. 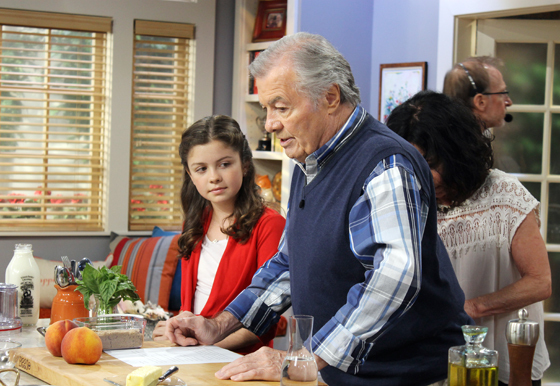 Jacques Pepin and his grand-daughter Shorey preparing to film an episode of his last cooking series. 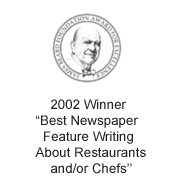 When Chef Roland Passot informed his kitchen recently that none other than his longtime friend Jacques Pepin had just made a reservation for dinner that night at La Folie in San Francisco, his young cooks flew into a tizzy. They were disappointed that they didn’t get the news sooner so that they could have brought in their books for him to sign. As it is, a few intrepid cooks ran out to the store on their break to buy Pepin’s cookbooks just for the chance to get them autographed that night. 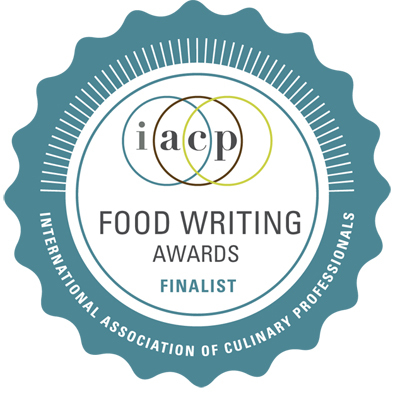 Such is the appeal and admiration of the renowned Jacques Pepin — Emmy Award- and James Beard Award-winning chef and former personal chef of French President Charles DeGaulle — who for generations has proved an inspired teacher not only to home cooks but to countless professional chefs. Last month, I caught up with Pepin, who left his home in Connecticut to spend most of October in San Francisco, filming his 14th — and final — cooking series, “Jacques Pepin: Heart & Soul.” It will air next fall and include a companion cookbook.